Staples will also be appearing on Friday at a benefit concert for MusiCares honoring the charity’s “Person Of The Year” Bruce Springsteen. She will be singing with Zac Brown. Additional performers that night will include Neil Young, Jackson Brown, Elton John, Eddie Vedder, Patti Smith and a host of other prominent musicians. Jeff Tweedy (Wilco) and Staples are currently in the studio working on her upcoming 2013 release. The album will be the highly anticipated follow up to her critically lauded album You Are Not Alone which was also produced by Tweedy and won a Grammy Award in the Best Americana Album vocal or Instrumental category. 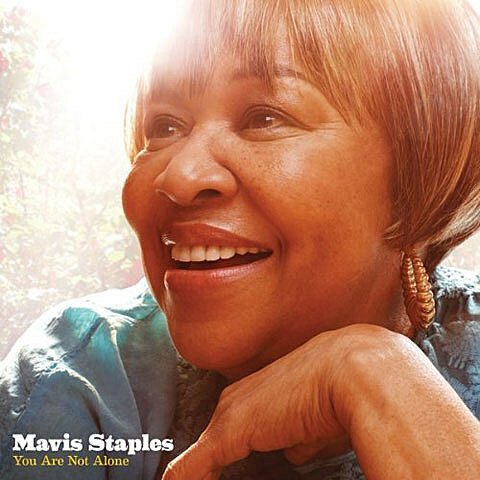 The record was described by Time Magazine as “Gorgeous” and by Spin as “Inspired.” Mavis Staples is a Rock and Roll Hall of Famer, a Grammy Lifetime Achievement Award winner, and listed by Rolling Stone as one of the 100 Greatest Singers of All Time. Wilco are also working on an LP. Mavis Staples plays a show at Lincoln Center in NYC on 2/14, and also took part in a Levon Helm tribute show in the NYC-area in 2012.